I understand eggplant is not for everyone. I know some people don’t like the spongy texture and slightly bitter taste from the skin. But, when it’s cooked right with beautiful spices, you cannot say no to that, like this salad. 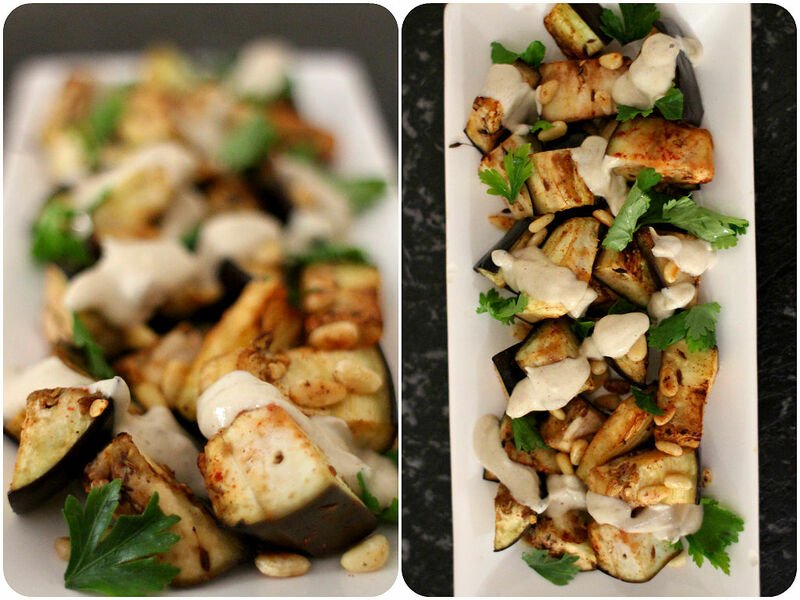 I’m loving all the spices on the eggplant – sumac, smoked paprika, cumin, fennel seeds and thyme. 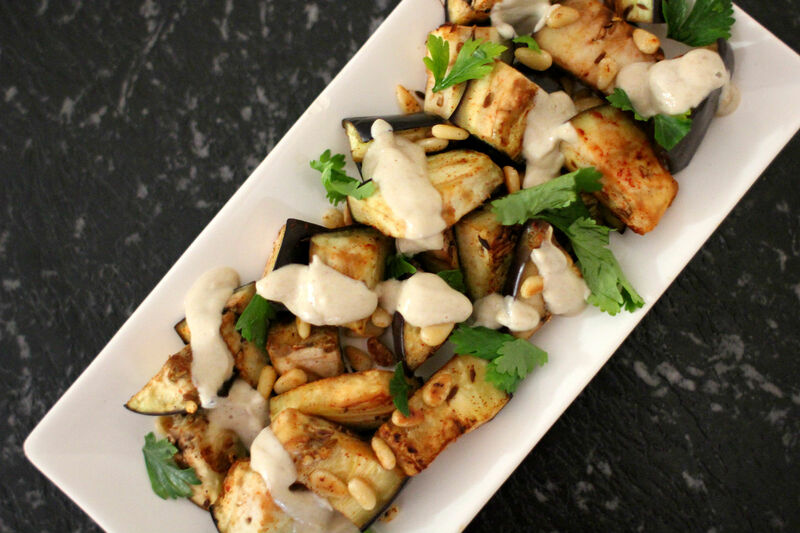 I think eggplant marries well with marinades or dressings with Middle Eastern and Asian flavours. Wash and cut the eggplant. Mix all spices, herbs and coconut oil in a large bowl. Add the cubed eggplant into the bowl and gently toss. Place in the oven (180) for 20-30 minutes until golden outside and cooked inside. Take it out of the oven and transfer to a serving plate. Sprinkle chopped parsley and roasted pine nuts. Drizzle with tahini yogurt dressing before serve.